What’s better than a bridal shower? 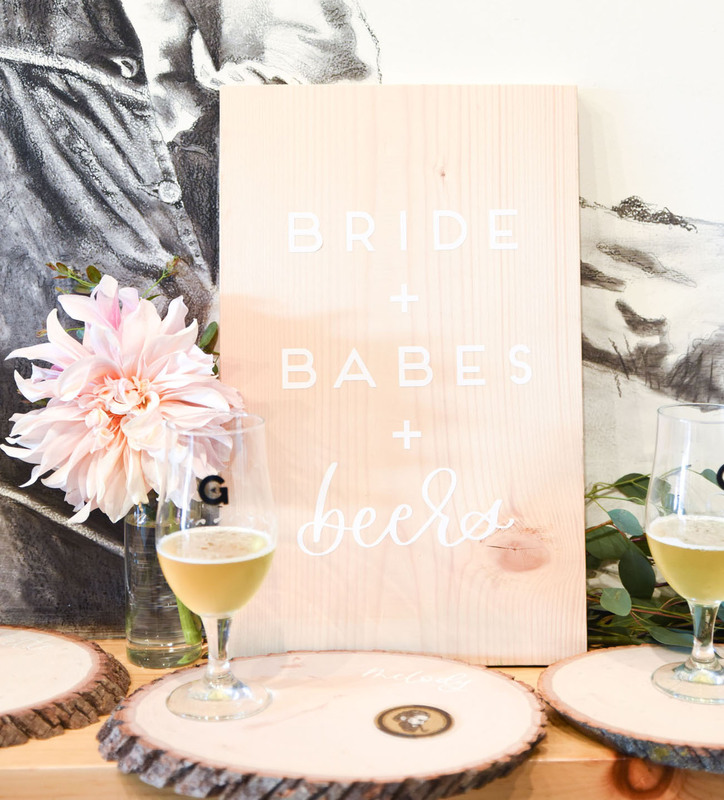 A beer tasting bridal shower, of course! 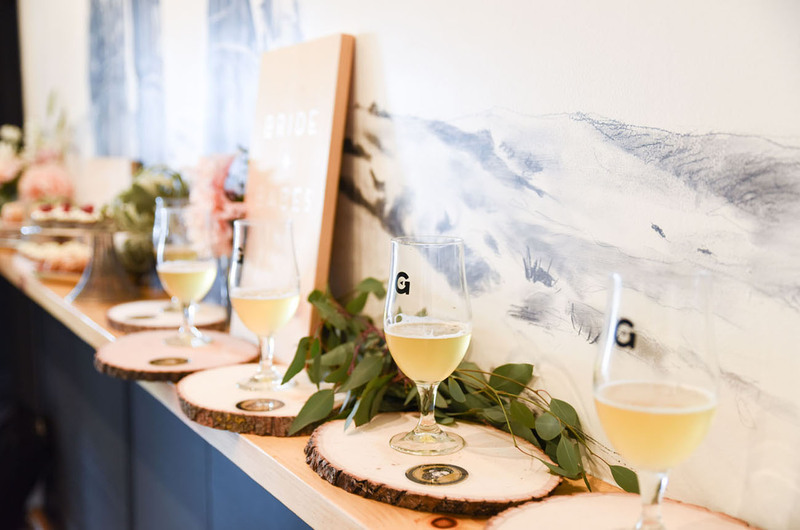 Actually, any way that you can incorporate craft beers into an event (whether it be a summer soirée, or a wedding festivity) is a major WIN in our book. 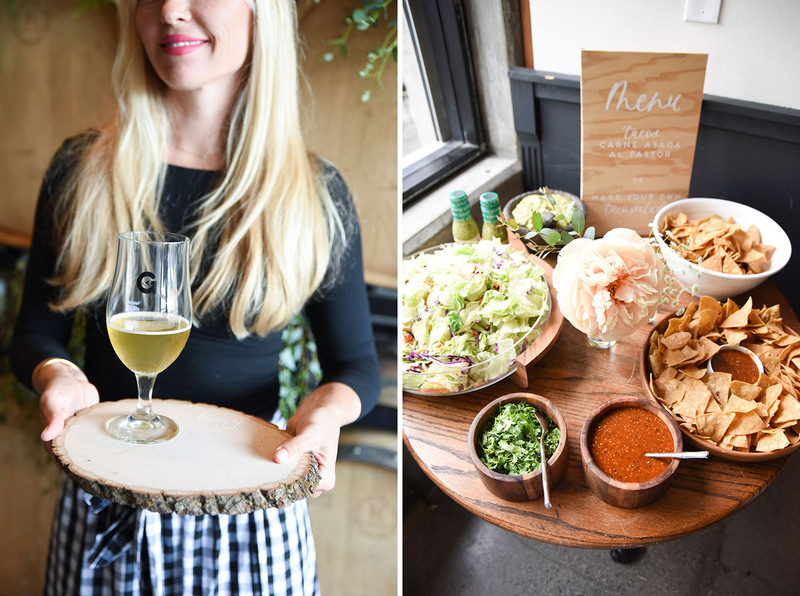 Perhaps you can fashion your backyard into a beer garden, to host a beer tasting party… or, head to your local brewery — most places will let your rent out a space for a dedicated party. 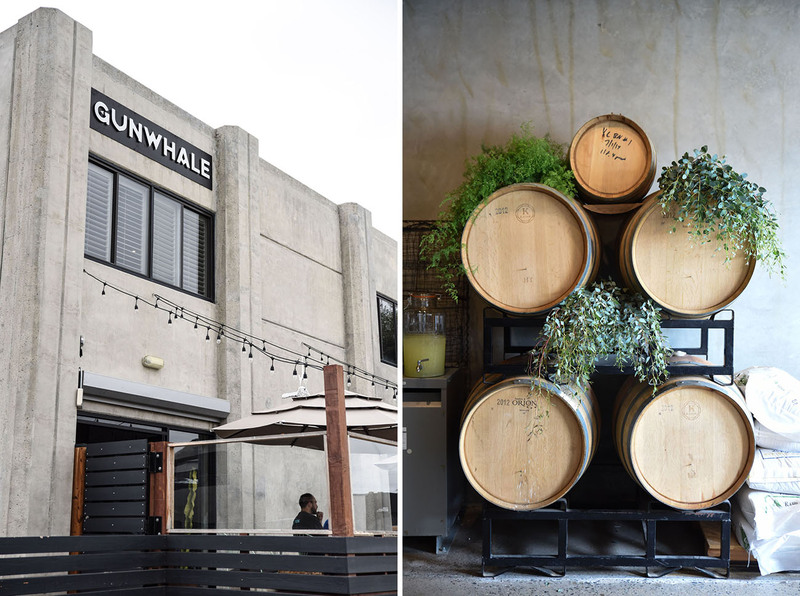 At least that was the case for Melody’s bridal shower, held at Gunwhale Ales in Costa Mesa! 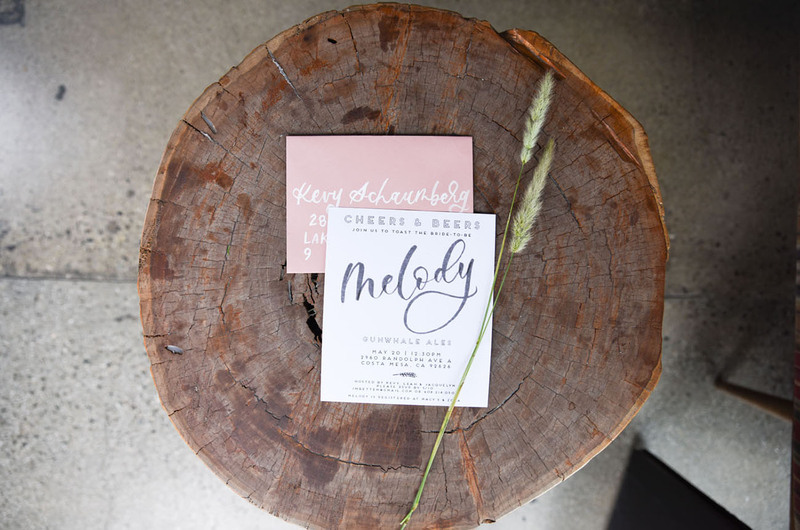 Jacquelyn of Beijos Events shares: When it came time to celebrate our friend Melody’s bridal shower we knew we wanted something different. Something cool, relaxed and unique, just like her! 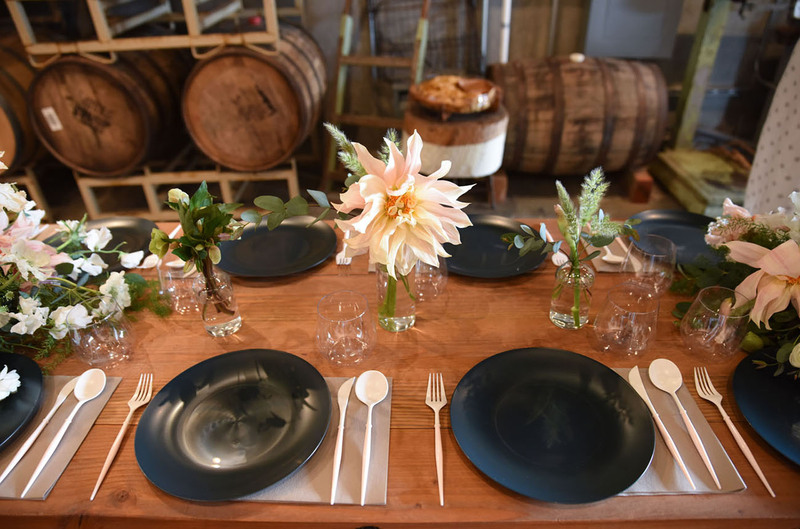 We decided on a really rad local brewery and a day of good food, pretty florals, and beer tasting! It was the perfect setting for this crew: chill vibes and a variety of amazing beers to taste. With flavors like kumquat, pineapple, blood orange, basil, and hibiscus — these weren’t your average beers! 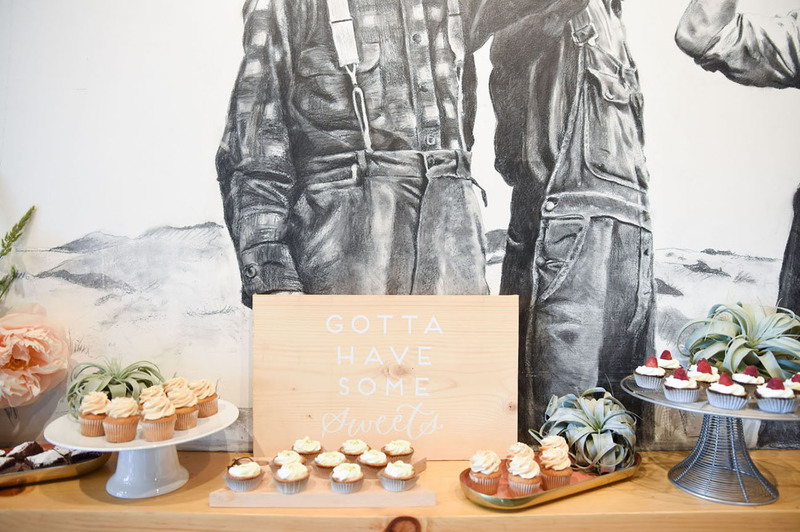 Let’s see how they customized the place for a bridal shower, in the snaps from Candace B Photography! 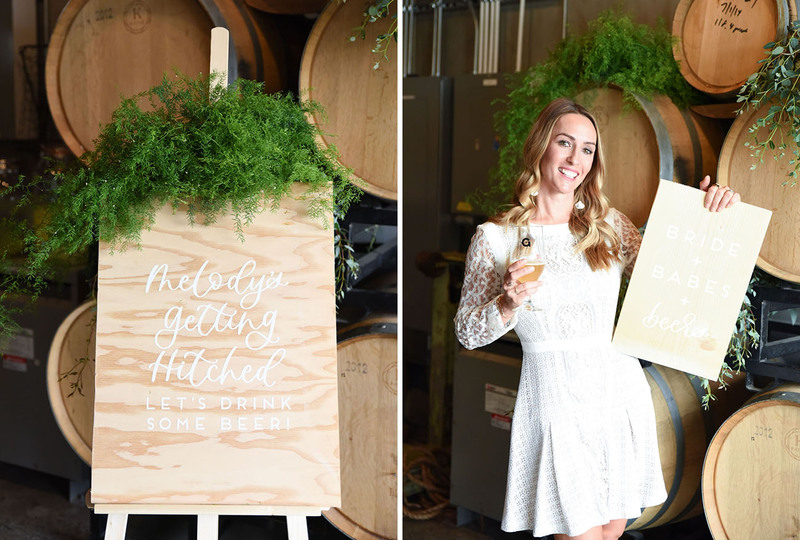 This is the kind of invite we’d love to get — a bridal shower at a brewery? We’re there! The space had beer kegs, so naturally the team dressed them up with some greenery! It’s already a pretty space so it didn’t need much — just some pretty signage from Poppy Jack Shop! 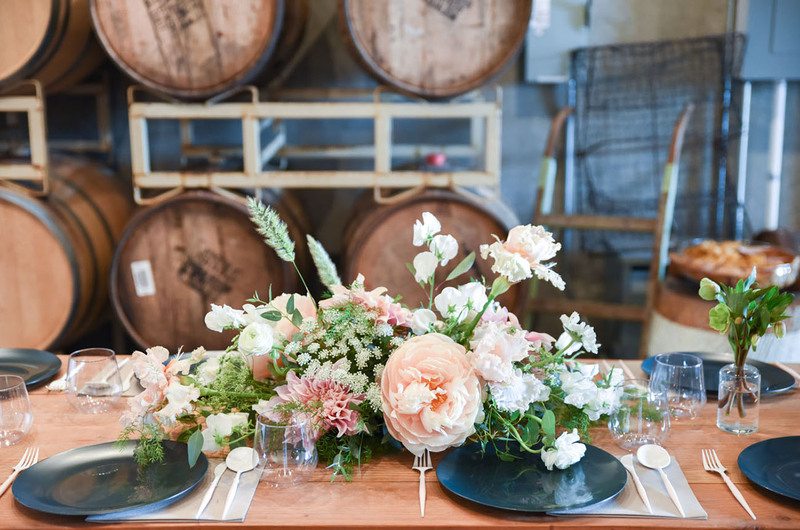 Tables were set with tasting trays, tons of glasses, and incredible florals from MV Florals. 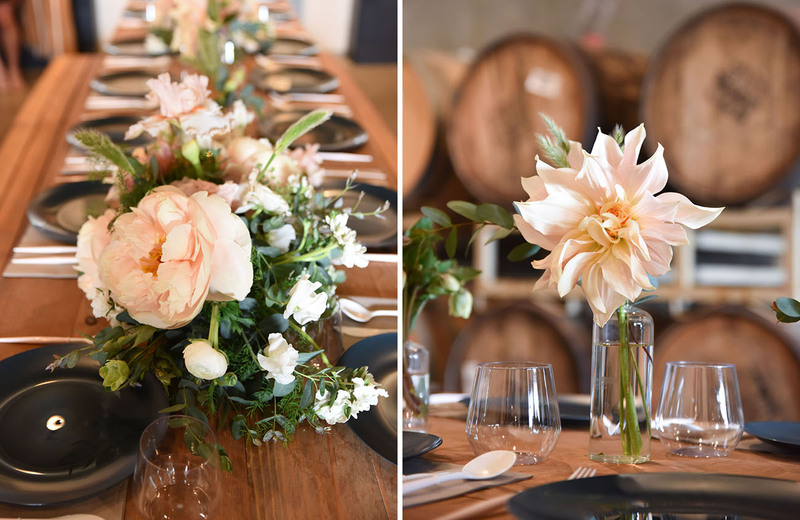 L’Entramise was used for the tabletop — which is PERFECT for an event like this. Jacquelyn of Beijos Events shares: With the style of an actual china collection and the ease of disposables, it’s a no brainer. What’s better than beer? Beer and tacos, of course! El Toro Bravo created a taco + taco salad station, just for the event. Last, but certainly not least, Beverly’s Bakery provided some snack-size dessert bites. Delish, right?! Cheers to that, and to you, Melody! 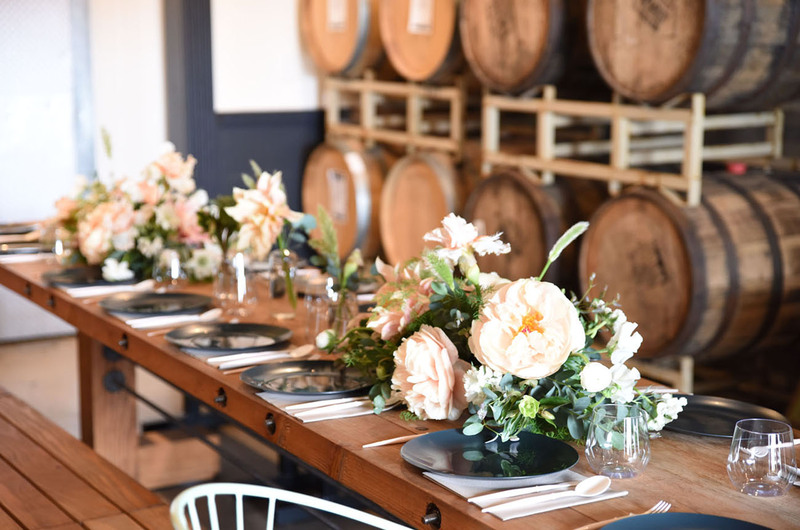 Who else would LOVE to have a bridal shower at a brewery? We’d love to hear your ideas in the comments below.